The AGA is so excited to be partnering with OutSpoken Brewing to host an event Wednesday September 19th at the Art Gallery. We will feature pairing of paintings from the AGA collection on display with Outspoken beers. 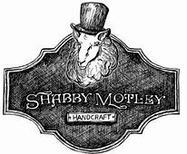 There will be live music and appetizers provided by Shabby Motley. You will get to design an OutSpoken Brewing beer can, which will then be filled and sealed! Please call 705-949-9067 ext. 107 to get your ticket! Tickets are available at the Art Gallery of Algoma and Outspoken Brewing.